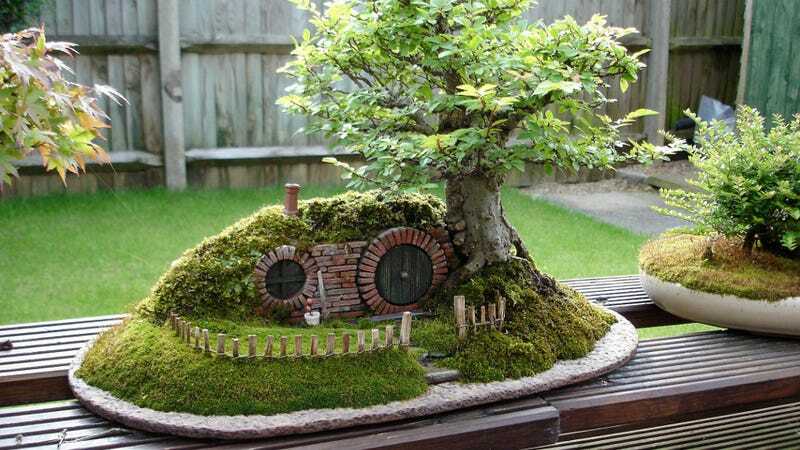 As if Hobbit homes weren't small enough, check out this fantastically detailed bonsai created by English artist Chris Guise. All artwork and photography by Chris Guise. Guise, who's a mechanical engineer by trade, has an extensive collection of bonsai trees that he's cultivated himself. This one, which he calls Bag End Bonsai Trayscape, recreates the home of Bilbo, Frodo, and Samwise from Lord of the Rings fame. Tons more here. And be sure to read the original article at Bonsai Empire. Via Twisted Sifter via InYourLibrary.